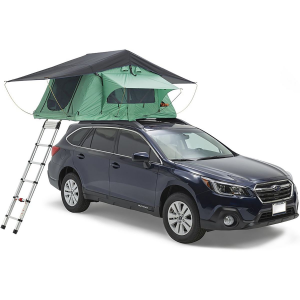 No matter where the road takes you,you'll feel like you're at home when the Tepui Baja Series Ayer Ultralite 2-Person Tent is mounted on the roof of your adventure vehicle. After a long day of driving and checking out stunning sights, the last thing you want to do is find a patch of ground to set up your tent on. 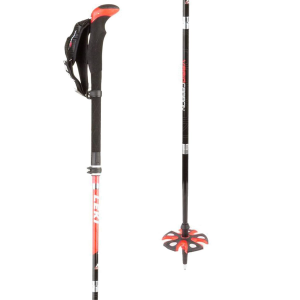 Luckily, the Baja Series Ayer is a breeze to pop up and break down, so you can set up camp in no time without having to fumble with poles in the dark. Once you're inside the tent for the night you'll experience the comfort of your favorite hotel. The large mesh windows and door let the breeze in--and also the views--keeping you cool and entertained. Feeling cramped is a thing of the past, thanks to the A-frame shape providing enough room for you to sit up and move around without bumping your head on the canvas. When you're eyelids are starting to involuntarily droop, lay your tired body down on the plush foam mattress and dream of long stretches of open road, glacial lakes, and stunning walls of granite.